Chuck Swindoll says it's the church's job to be a training ground for disciples in the making, to help them become spiritually fit for service. 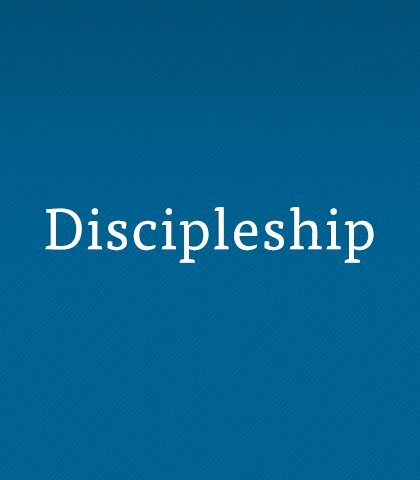 Discipleship is more than just another church program. Jesus Christ has established discipleship as the method by which He plans to fulfil His mission to grow His church. God IS Fulfilling the Great Commission! Are You Doing Your Part? I’m going to say it straight: If you are a believer and you are not actively participating in fulfilling the Great Commission, you are not obeying the Lord’s calling on your life. How long would it take to evangelize the world if we were to actually do what Jesus said and if each year every disciple made another disciple who made another disciple? Peter’s transformation from a rash fisherman in the Gospels to a bold witness for Christ in the book of Acts boils down to one Person—the Holy Spirit. It’s tragic, but not inevitable. We can resist depravity’s dangerous undertow by anchoring ourselves to God’s grace—daily, especially when we’re growing in our faith. The same power that first pushed up the mountains moves within the simple words of the Gospel: Jesus died for sinners and is alive today. Believe in Him, receive His forgiveness, and follow Him into the life God intended. What I saw missing from my ministry was balance. While it was important for me to be there when someone needed me, it was also important for me to spend time alone with God because I needed Him.